As you are reading this article right now, there is an international scavenger hunt taking place. If you ever happen to spot people sticking their heads under a bench in your local park or just acting overly curious about the nooks and crannies of a location, then chances are they're geocaching. Geocaching is an officially recognised, high-tech treasure hunt. It involves following your iPhone (or any other device that has a GPS system) to a particular point of latitude and longitude coordinates. Then with the aid of descriptions and limited hints, you will need to resort to your own imagination to seek out the sneaky cache. The caches are containers that range from being lunchbox-size to nano-size. Many of them are magnetic too, so think sticking your head underneath that bench, or your hand on the side of that pipe you'd probably rather not put it. They contain a logbook for you to sign and often also contain interesting trinkets that you may take - although one of the codes of geocaching conduct is that you then leave something of equal or greater value in return for following geocachers to find. That is, once you have returned the cache to the same spot you found it. 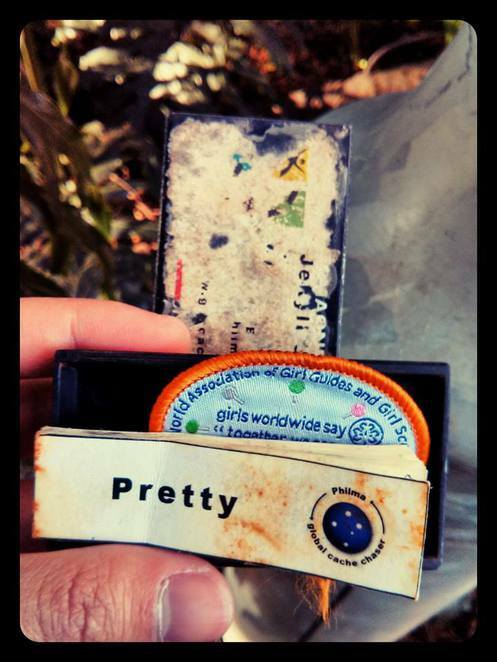 The main reward I reap from geocaching is the immense feeling of satisfaction upon a successful find. 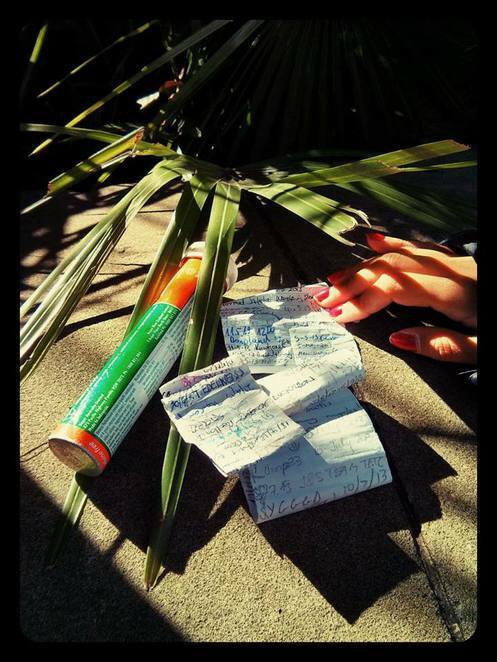 Every find only fuels my desire to accomplish more on the ever growing geocaching list - you will never get bored of this loosely organised sport as there are now over 2 million caches hidden across the globe, in a huge variety of spots. They also come in diverse forms. 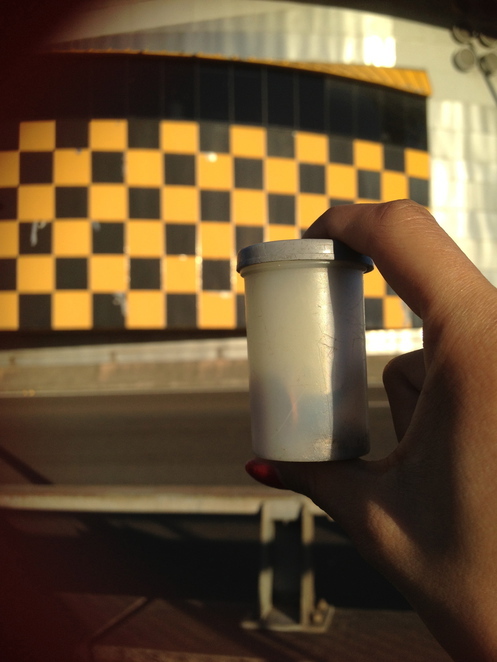 Some for example, are 'multi-caches' and involve a pursuit that is similar in nature to the 'Amazing Race' in that they require you to decipher clues and work out coordinates at different points in an area to determine exactly where the little container is concealed. The search in itself is thrilling and adventurous. The caches are often designed to lead you to places with historical, geographical, or cultural significance. Being a Sydney-sider the only caches I have hunted down and found so far have been local - in the vicinity of the Harbour Bridge, Circular Quay, Darling Harbour, and within the University of Sydney. These ones have been fairly easy in terms of traveling to 'GZ', i.e. the vicinity in which the cache is hidden. Many others however, such as the cache in the Blue Mountains entitled "Hay, Hay Its... " (yes, they do usually have some comical labels) involve bush-bashing, treks, and other recreational outdoor activities to be undertaken to reach the vicinity of the cache. The hunt for these secretive little boxes is occurring literally all across the globe. Being a part of this international, yet still somewhat under-the-radar operation will definitely give you a new perspective on the world; of the places that are familiar to you, and through the discovery of new places and landmarks. Visit the official Geocaching website or even the good old Aussie branch of the site for much more info and enticement to embark on your very own Geocaching adventure. How many can you 'cache'?